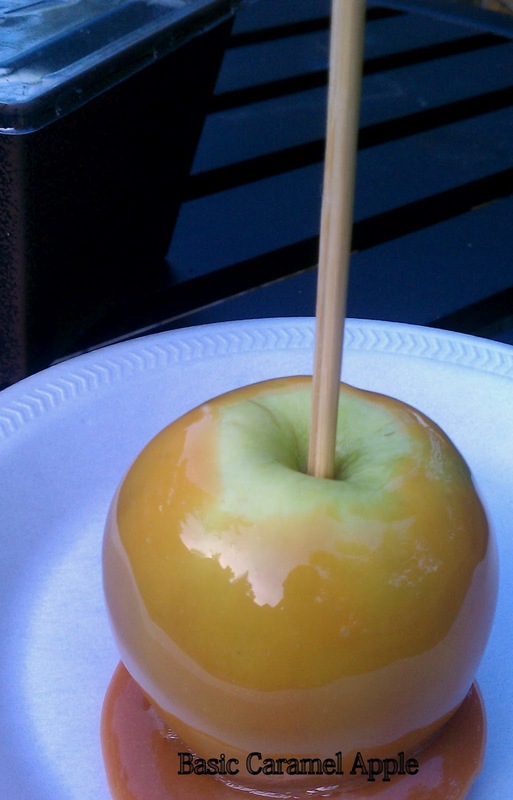 It seems like the only opportunity I have to eat caramel apples during the fall. Well, as much as I like these yummy treats. I never successfully made any. While grocery shopping I saw the individually wrapped caramels and had no idea what I was going to do with them. And on a whim, I decided to make my favorite treat, and they came out perfect! Caramel and apples are the perfect combination to me, and now since I officially know how to make them. I am looking forward to seeing how creative I can beJ. 1. Insert wooden sticks 3/4 of the way into the stem end of each apple. Place apples on a cookie sheet covered with parchment paper. 2. Combine caramels and water in a saucepan over low heat. Cook, stirring often, until caramel melts and are completely smooth. Stir in vanilla extract. Dip each apple into the caramel and gently run apples around insides of saucepan to scrape off some of the caramel. Scrape excess caramel from the apple bottoms using the side of the saucepan. Place on parchment paper and place in the refrigerator for an hour. If you try this recipe, let me know. Leave a comment, pin it (so you have it saved), and don’t forget to tag a picture use the hashtag >> #simplytasheena on Instagram. I would love to see how it turned out. Do you like caramel apples? These look yummy! I can't wait to make some with my girls. I'm so excited to see this. Welcome Fall! Great!!! Here is fall! I love it. Love caramel apples! I haven't made any in 3 years! I want to try it with the vanilla!